The session begins and a party of voices fill the speakers, combined with large amounts of fun and laughter! There’s a photo shoot group shot included for your cover artwork. Our friendly staff keep the hysteria controlled! 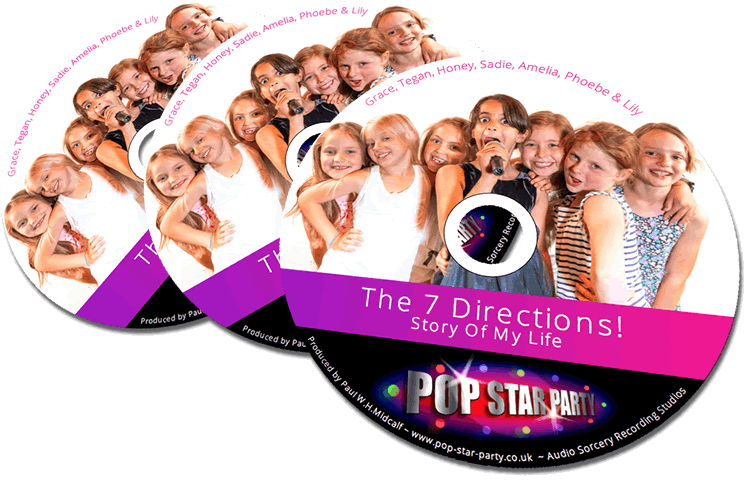 Fantastic memories will last forever as each of your Party Bags get a fully produced CD to take home. You’ll also have access to a personalised web page allowing you to share and download the music magic! and a track to sing!